Using an alembic with a water seal, you can forget about the tape-tape, additional use of dough, bread. Pass the pair of such a product will not be exactly. 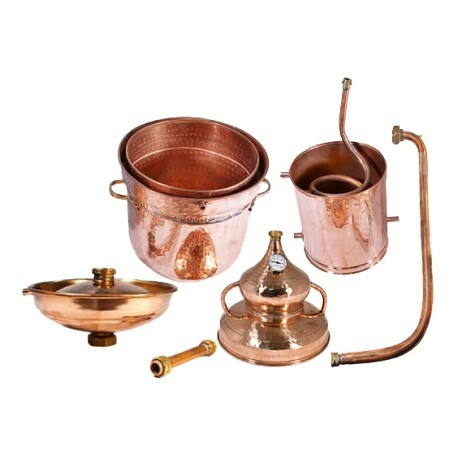 An important advantage of this copper home-made apparatus is that it is also equipped with a sieve and a rectifying lens. 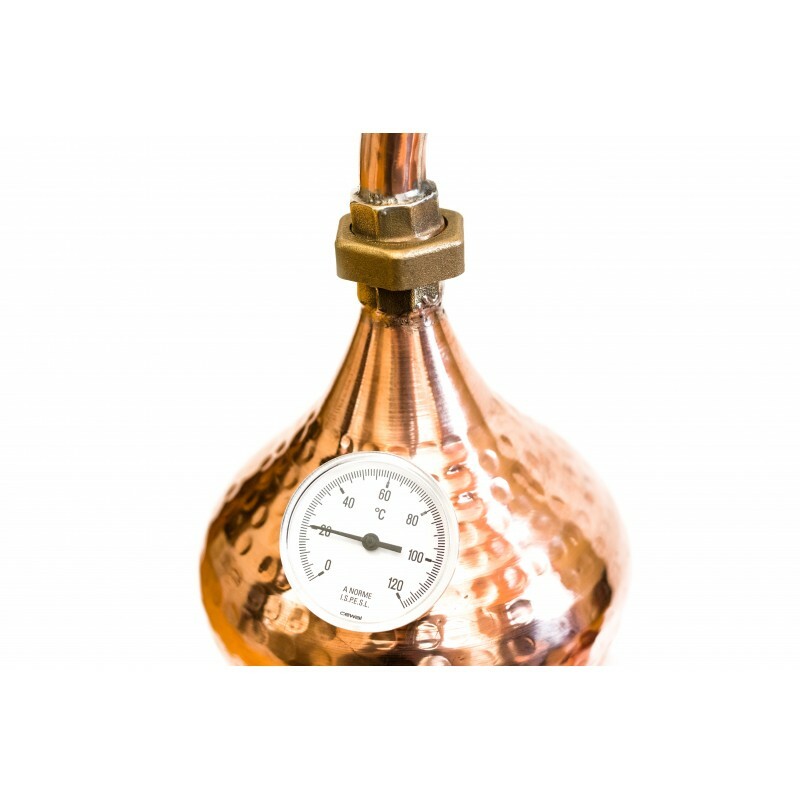 Like any alambic, it is ideal for making exclusive alcohol, for example, Calvados, Grappa, Cognac, Armagnac, Tequila, Chachi, etc. 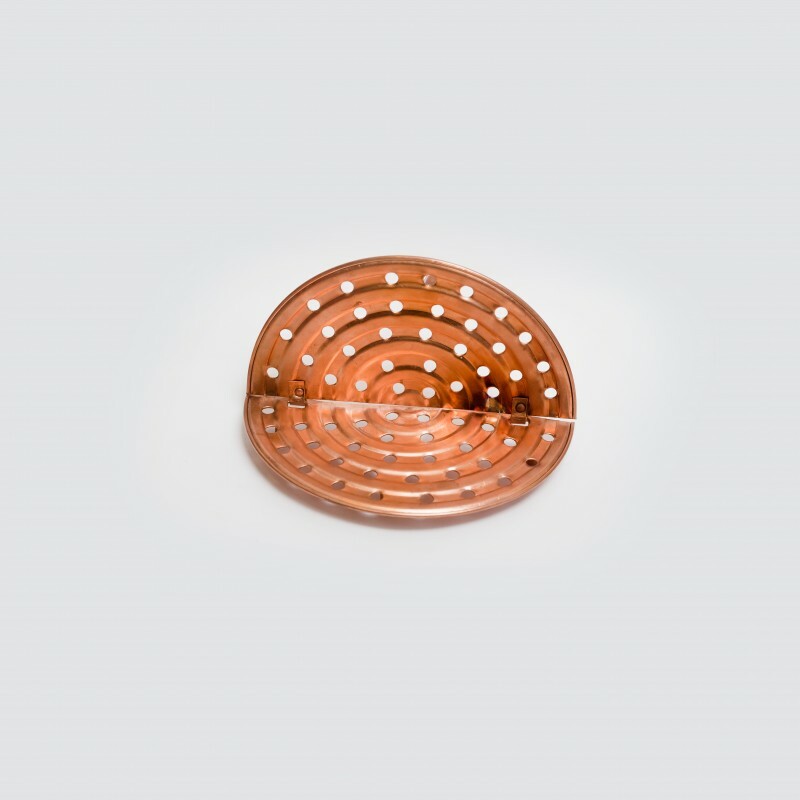 It consists of almost pure copper (99.7%), all the seams are made by soldering with the use of silver - they are corrosion-resistant, durable, so the product is reliably protected from any deformation. 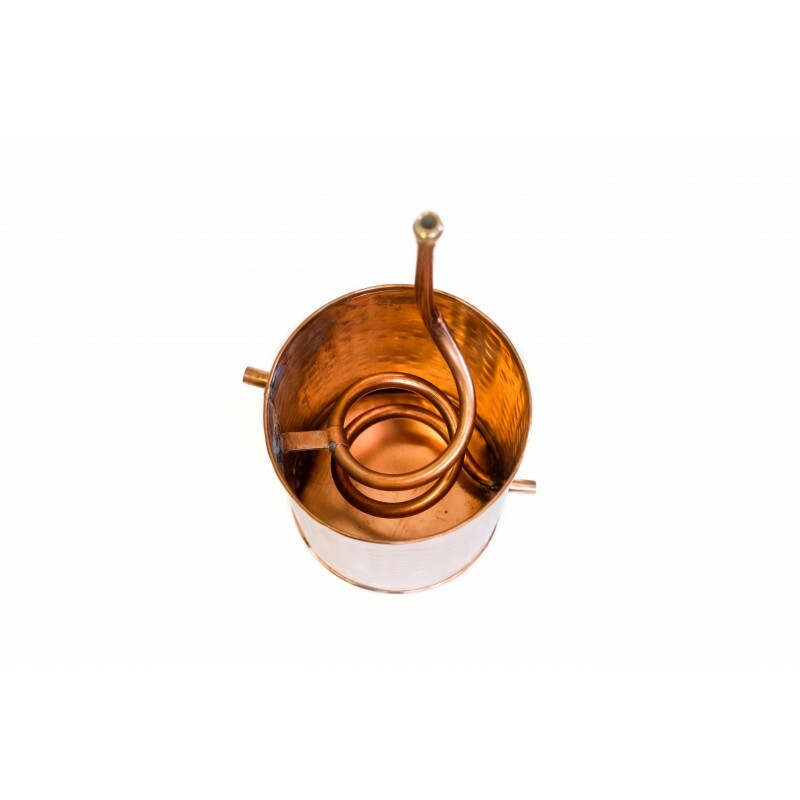 You can be absolutely confident in the safety of the device, because the materials used do not react with the drink, maximally preserving all its flavor and aroma qualities. Alumbik has a number of design features. 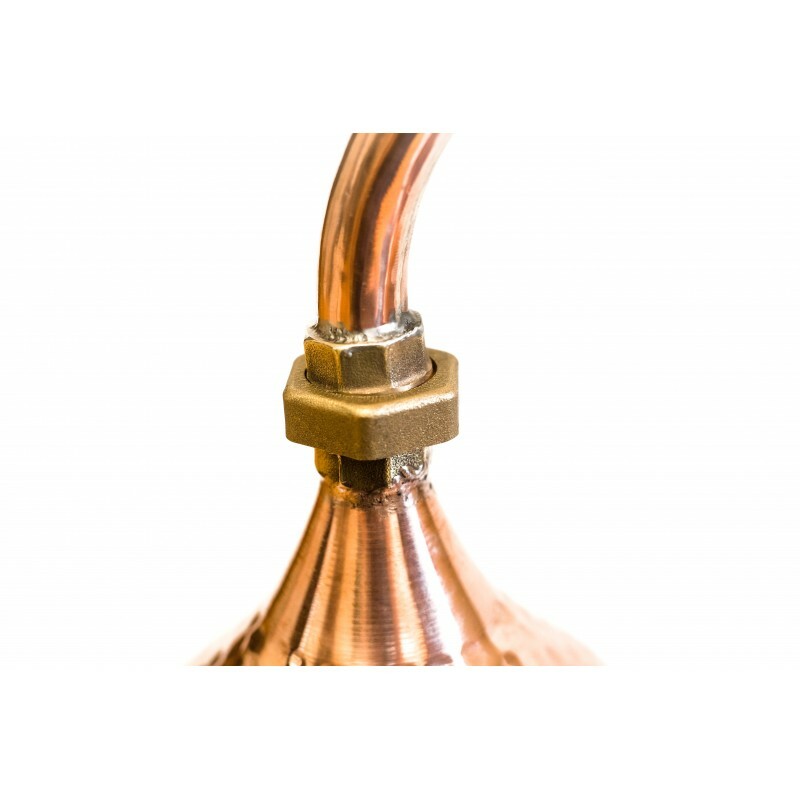 It provides a hydraulic seal that facilitates the process of preparing alcohol. 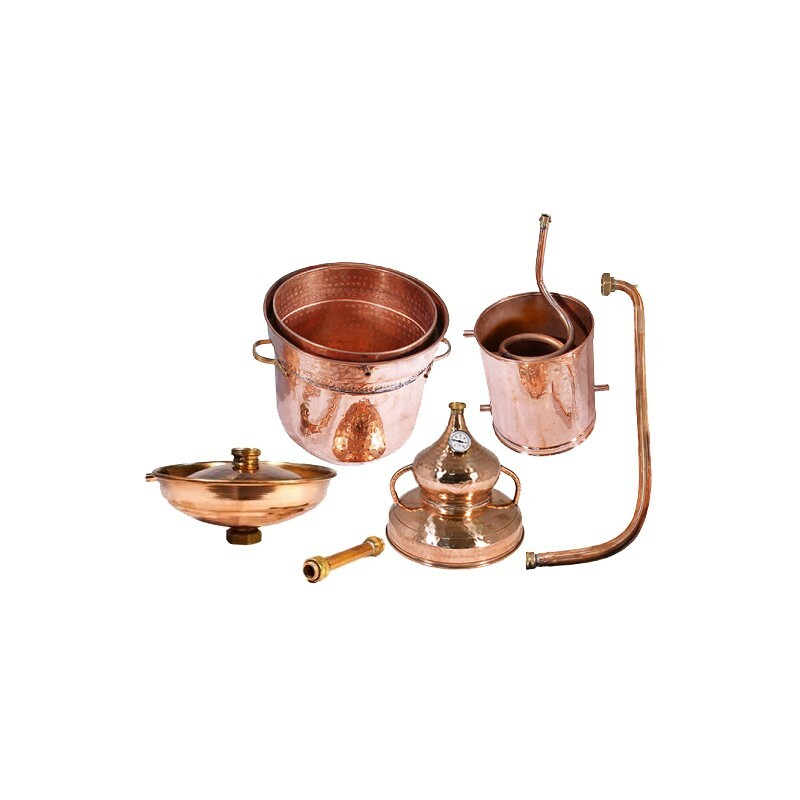 It provides a high level of tightness of the distillation cube, therefore valuable pairs of ethyl alcohol will not evaporate, and the room in which distillation is performed will not be filled with the unpleasant smell of fusel oils and other impurities. A water trap is a trough located between the walls of the distillation cube. Its internal walls are several inches taller than the outer walls. The top of the cube is tightly closed with a helmet. This design provides an ideal seal.